This article is about the character. For the guest star, see Mel Brooks. Mel Brooks is an American actor and comedian. Lisa told Homer that there are many prominent Jewish entertainers, including Lauren Bacall, Dinah Shore, William Shatner, and Mel Brooks. Homer was surprised that Mel Brooks was Jewish. 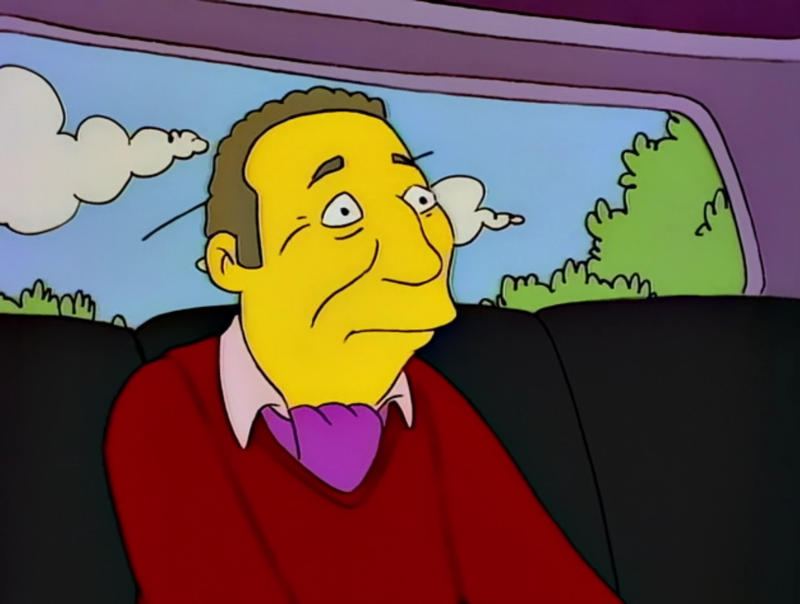 When Homer owed Patty and Selma money, he started to drive a limo, with his first customer being Mel Brooks. Homer tells him that he loved Young Frankenstein as it scared the hell out of him, before asking Brooks to do the 2000-pound man thing. Homer wants to be the Carl Reiner guy while Mel bes what's-his-face. Brooks tells Homer that it's not easy to do. They start doing the 2000-pound man thing before Chief Wiggum came and took Brooks into his car, because Homer didn't have a chauffer's license. Wiggum said he wants to do the 2000-dollar man thing with Brooks, and that he wants him to play Carl Reiner, and Wiggum playing himself. Brooks tells Wiggum that he want's to switch the roll as he hates Carl Reiner. When the Simpson family get a tennis court, Marge said to Homer that Mel Brooks had one before Marge he became Sir Mel Brooks. Modified on June 4, 2017, at 13:00.